The card is made with the Antiqued Wallpaper background from the Technique Junkies and a bikini in irisfolding technique (made by Bergkaarten.nl). The pattern is HERE. The star in the middle of the bikini is a stamp by Michael Strong colored with copic markers. Hope you all have a wonderful day! Love it! I tried printing that same IF Pattern from the site a few days ago, and it would only print the colored picture and part of the top, left off the rest of the top and the bottom. Any odeas how I can get the whole thing printed? I love your card though!!! Thanks Hetty! Love this card and the bikini top is a fantastic element!! 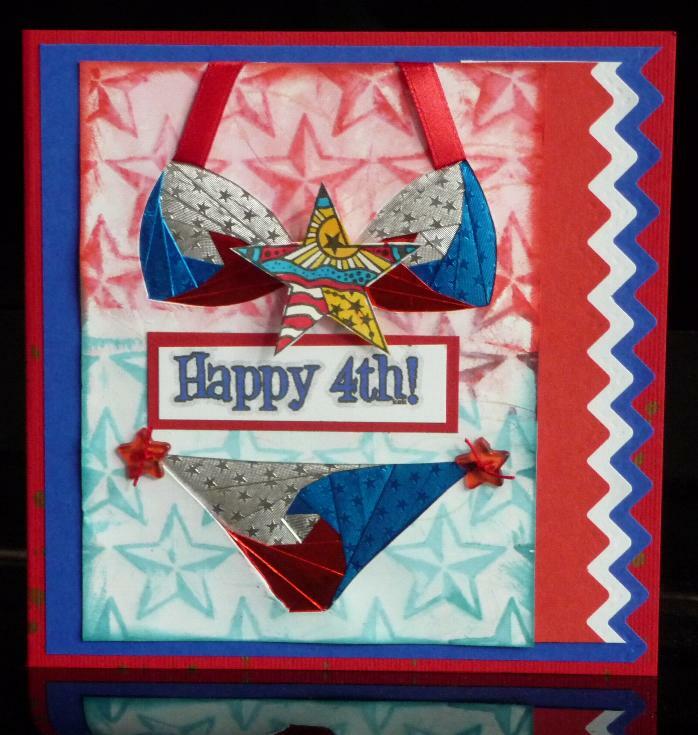 Hetty - cute card, thanks for the 4th of July wishes. Hope you're having a wonderful weekend! Hetty!! This is so darn cute! Love it!! That bikini is just too darn cute! !